For Governor, Riley Research says their poll is a dead heat, and at Kitzhaber 40 – Dudley 39 (MoE 5), it basically is. A 54-46 split in favor of Kitzhaber is as close as it gets. 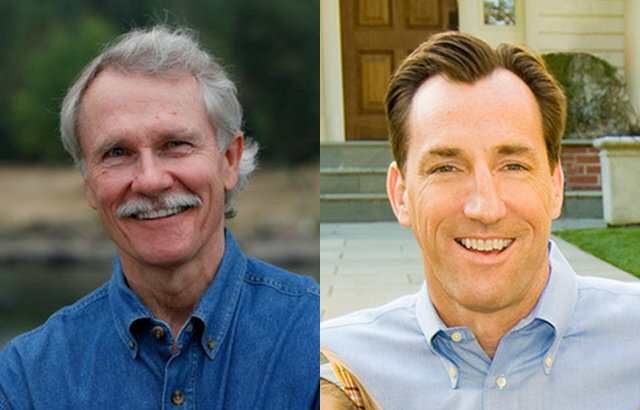 SurveyUSA has a different result, though: Dudley 49 – Kitzhaber 43 (MoE 4.2). That I show as a 79/21 split in favor of Dudley. Interesting, as both polls are of Likely Voters. To break the tie we can turn to Rasmussen Reports, who has Dudley up 49-44 (MoE 4) for a 73/27 split in favor of Dudley. It’s safe to say Dudley is probably ahead right now. It’s very hard to say Huffman is close, though. SurveyUSA has Wyden up 54-38 (MoE 4.2). That result shows in my chart a 98/2 split in favor of Wyden, and since Huffman has been polling this badly for a while, 2% is probably an optimistic assessment of his chances. Am I saying Huffman can’t win? No. It just doesn’t look likely right now.